A quick note to say that I feel sort of vindicated. 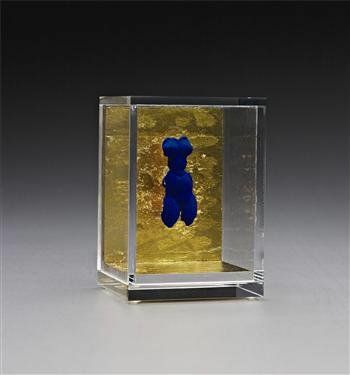 Back in March 2010, I wrote THIS post predicting the rise of International Klein Blue – that fabulous deep blue invented and patented by the late, great artist Yves Klein. And so it went…that bright blue was suddenly everywhere from J.Crew catalogues to Uma Thurman at the Oscars. It even showed up in a stunning piece at the AGO retrospective of General Idea. Did you know that you can buy the paint – Yves Klein patented the colour – in Switzerland? It’s not cheap. But it’s beyond any other colour you will paint with – in fact the only colours that can possibly accompany it are white, or gold leaf. As he knew very well, IKB and gold is a heavenly combination. I’d love to meet the guy who ordered the IKB bespoke suit. Read Gopnik’s full article on ABMB, HERE. That’s very interesting, Laura. Thanks for posting!